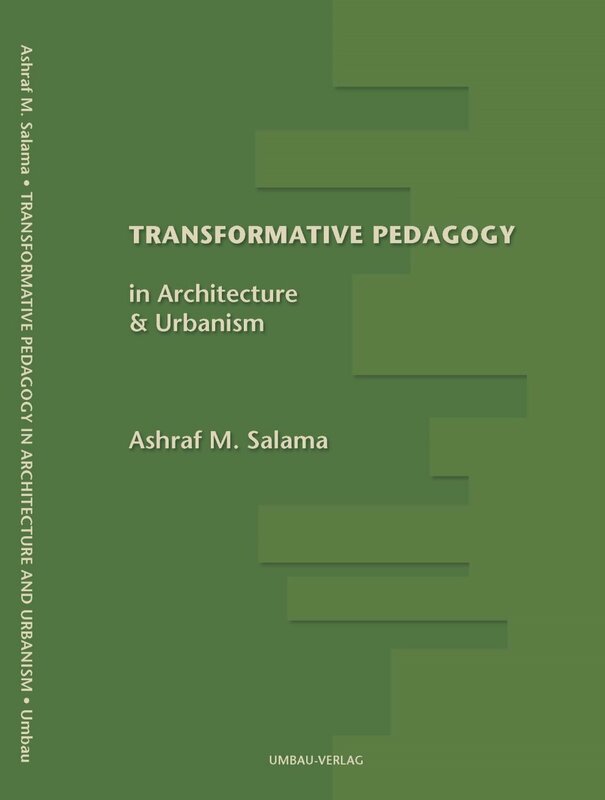 Professor Ashraf Salama has authored and co-edited 9 books on education and pedagogy in architecture and urbanism, theory, criticism, and assessment in architecture, and emerging cities in the Middle East. His books were published in Germany, United Kingdom, Italy, Switzerland, Egypt, and the United States. This page displays outlines of his books with links to relevant websites, reviews, and other related information. Unveiling the multiplicity of factors producing urbanism in the fast-growing region of the Gulf, this book provides an in-depth overview of housing and migration dynamics in major Gulf cities. 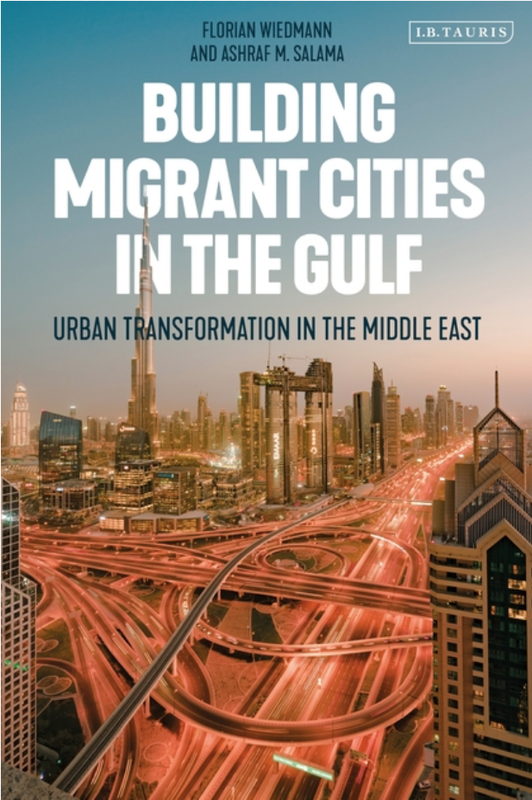 It shows that a top-down approach devised to control urban development patterns is a crucial element in understanding both migration and housing dynamics in Gulf States. The book thoroughly examines the role of governance, from initiating a development vision, to reorganizing decision-making frameworks, and to implementing distinctive strategies. It takes a considered approach to and an objective examination of how investor-driven patterns, emerging new economic sectors, and demographic transformations have impacted the demand and supply as well as the specific characteristics of housing in the Gulf. The direct interactions between inhabitants and their home environments are also explored by demonstrating the divergent living standards and new lifestyle tendencies and their manifestations in the overall urban environment of these migrant cities. Design education in architecture and allied disciplines is the cornerstone of design professions that contribute to shaping the built environment of the future. 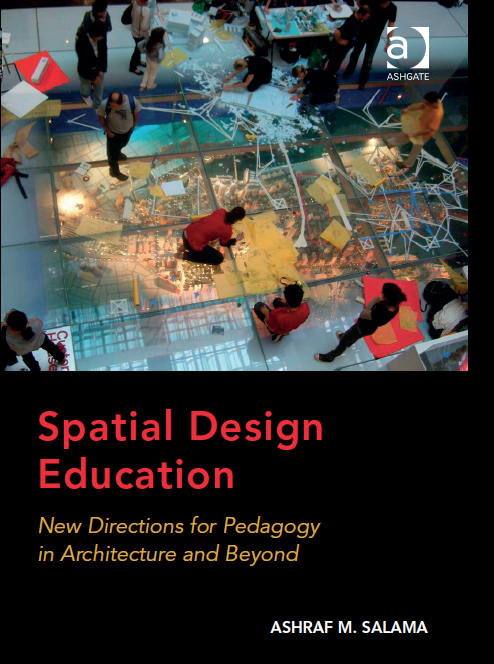 In this book, design education is dealt with as a paradigm whose evolutionary processes, underpinning theories, contents, methods, tools, are questioned and critically examined. 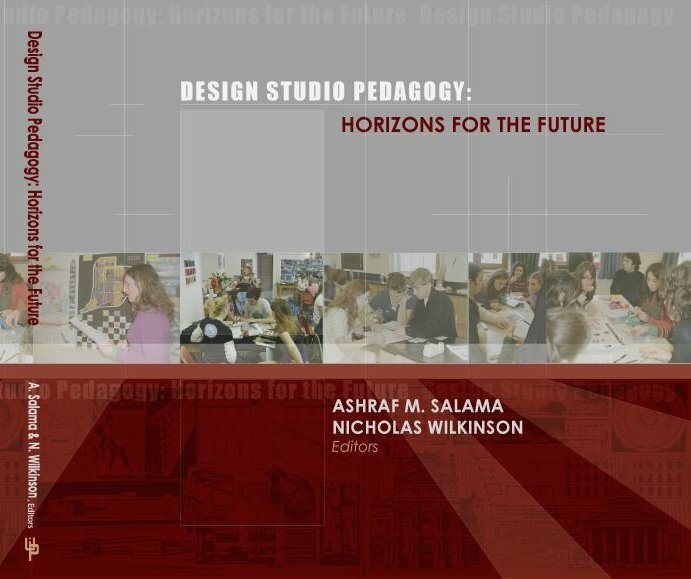 It features a comprehensive discussion on design education with a focus on the design studio as the backbone of that education and the main forum for creative exploration and interaction, and for knowledge acquisition, assimilation, and reproduction. Through international and regional surveys, the striking qualities of design pedagogy, contemporary professional challenges and the associated sociocultural and environmental needs are identified. Building on twenty-five years of research and explorations into design pedagogy in architecture and urban design, this book authoritatively offers a critical analysis of a continuously evolving profession, its associated societal processes and the way in which design education reacts to their demands. Matters that pertain to traditional pedagogy, its characteristics and the reactions developed against it in the form of pioneering alternative studio teaching practices. Advances in design approaches and methods are debated including critical inquiry, empirical making, process-based learning, and Community Design, Design-Build, and Live Project Studios. Innovative teaching practices in lecture-based and introductory design courses are identified and characterized including inquiry-based, active and experiential learning. These investigations are all interwoven to elucidate a comprehensive understanding of contemporary design education in architecture and allied disciplines. A wide spectrum of teaching approaches and methods is utilized to reveal a theory of a ‘trans-critical’ pedagogy that is conceptualized to shape a futuristic thinking about design teaching. Lessons learned from techniques and mechanisms for accommodation, adaptation, and implementation of a ‘trans-critical’ pedagogy in education are conceived to invigorate a new student-centered, evidence-based design culture sheltered in a wide variety of learning settings in architecture and beyond. Publisher: Routledge, London, United Kingdom. - Global case studies which illustrate both perspectives addressed by the book and comparative analyses of the findings. - A six part organization which includes introductions and conclusions from the editors, to help guide the reader and further illuminate the contributions. By presenting a systematic approach to assessing building performance, design professionals will learn how to improve building design and performance with major stakeholders in mind, especially end users/occupants. Over the past decade or so, the wealth produced by Qatar's oil and gas exports has generated a construction development boom in its capital city of Doha and the surrounding vicinity. Since the late 1990s, the number of inhabitants has grown from less than 400,000 to more than 1.7 million today. In many respects, Doha is portrayed as an important emerging global capital in the Gulf region, which has been positioning and re-inventing itself on the map of international architecture and urbanism, with a global image of building clusters of glass office towers, as well as cultural and educational facilities. 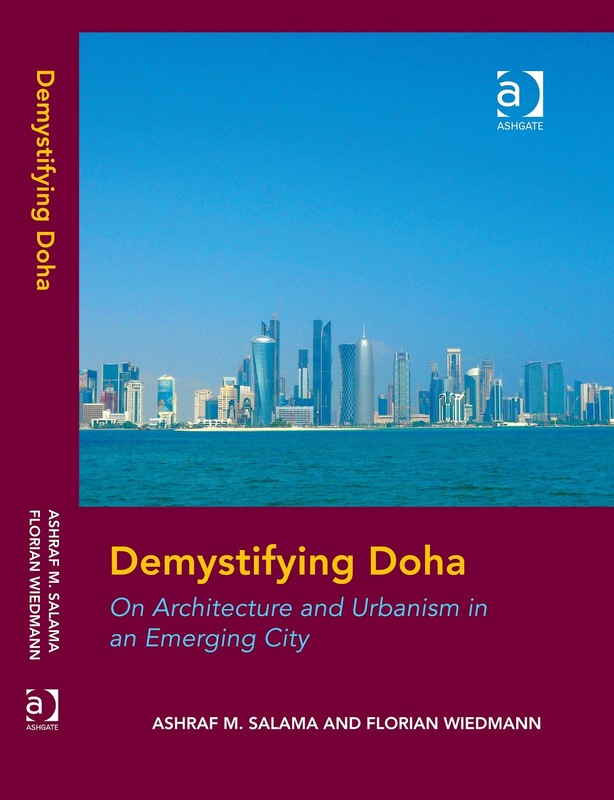 While focusing on the architectural and planning aspects of Doha's intensive urbanization, this first comprehensive examination of the city sets this within the socio-political and economic context of the wider Arabian Peninsula. 'Demystifying Doha - On Architecture and Urbanism in an Emerging City' features a comprehensive discussion on contemporary architecture and urbanism of Doha as an emerging regional metropolis. It provides a critical analysis of the evolution of architecture and urbanism as products of the contemporary global condition. 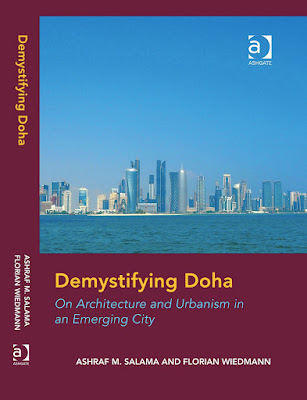 Issues that pertain to emerging service hubs, decentralised urban governance, integrated urban development strategies, image-making practices, urban identity, the dialectic relations between the city and its society and sustainable urbanism are all examined to elucidate the urban evolution and the contemporary condition of Doha. 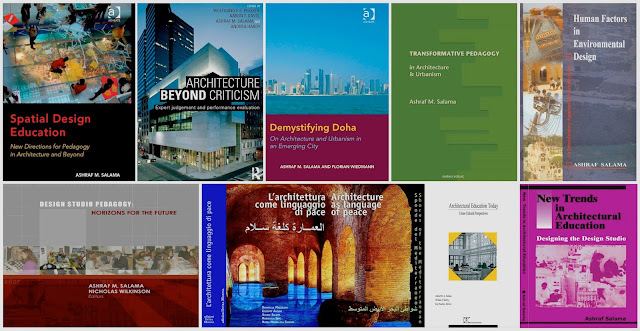 'Demystifying Doha - On Architecture and Urbanism in an Emerging City' concludes by suggesting a framework for future studies of the city as well as for investigating the future of similar cities, setting out an agenda for sustainable urban growth, while invigorating the multiple roles urban planners and architects can play in shaping this future. As a new round of pedagogical dialogue on architecture and urbanism it resets the stage for debating future visions of transformative pedagogy and its impact on design education. This is a forward looking effort that comes to amalgamate concerns, concepts, and practices that Ashraf M. Salama has explored and introduced over a period of two decades. It is about balancing the creative act required for creating responsive environments and the social and environmental responsibilities that should be embedded in this act. It is also about understanding how knowledge is produced, what the components of such knowledge are, and what are the learning processes and social practices that can be used to transmit it. Structured in five chapters the book presents a wide range of innovative and practical methodologies for teaching architectural and urban design. It traces the roots of architectural education and offers several contrasting ideas and strategies of design teaching practices. 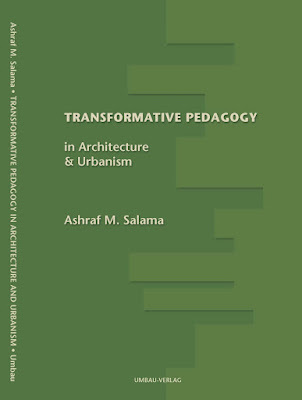 The book includes five chapters: 1) A New Theory for Transformative Pedagogy in Architecture and Urbanism 2) The Architect, the Profession, and Society 3) The Conventional Approach to Studio Teaching Practice 4) Against the Conventional Studio Pedagogy 5) Empowering Transformative Pedagogy. 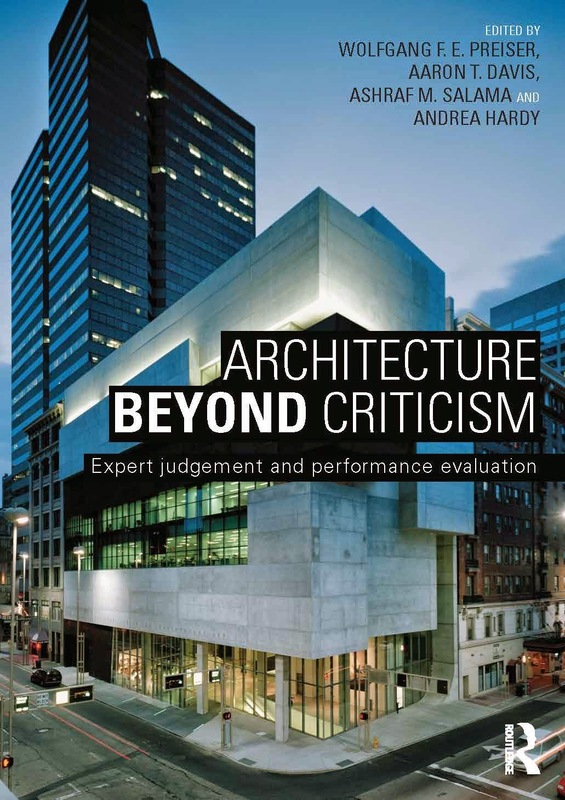 "...Professor Salama brings here a career's worth of insights into architectural education. Most importantly, his experience spans across many continents and cultures, and is thus extremely valuable for world architecture..." And so we have at hand a vast new resource for adapting the design studio to the real needs of architectural education..." Nikos A. Salingaros, Urbanist and Architectural Theorist, University of Texas at San Antonio, TX, USA. "... Ashraf Salama aggressively identifies the ritualistic aspects of architectural education that act as constraints to innovation. this is an important book because it probes into the motivations of design educators by placing a mirror before them and allows for a critical examination of the design studio. Dr. Salama paves the way for design educators to openly discuss and debate the delivery system of architectural education and its impact on the future role of the architect..." Henry Sanoff Distinguished Professor Emeritus of Architecture, North Carolina State University, NC, USA. This groundbreaking book is a new comprehensive round of debate developed in response to the lack of research on design pedagogy. It provides thoughts, ideas, and experiments of design educators of different generations, different academic backgrounds, who are teaching and conducting research in different cultural contexts. It probes future universal visions within which the needs of future shapers of the built environment can be conceptualized and the design pedagogy that satisfies those needs can be debated. Addressing academics, practitioners, graduate students, and those who make decisions about the educational system over twenty contributors remarkably introduce analytical reflections on their positions and experience. Two invited contributions of. N. John Habraken and Henry Sanoff offer visionary thoughts on their outstanding experience in design pedagogy and research. Structured in five chapters, this book introduces theoretical perspectives on design pedagogy and outlines a number of thematic issues that pertain to critical thinking and decision making; cognitive and teaching/learning styles; community, place, and service learning; and the application of digital technologies in studio teaching practices, all articulated in a conscious endeavor toward the betterment of the built environment. Architecture as Language of Peace was released in August 2005 and published by Edizioni - Intra Moenia, Rome and Naples, Italy. The book is jointly edited by Donatella Mazzoleni, Giuseppe Anzani, Ashraf Salama, Marichela Sepe, and Maria Maddalena Simone. The contents of this book were formulated in the early months of 2003, and brought together two components: the achievements of the Design Laboratory involving 4th and 5th year architecture students at the Universit? di Napoli Federico II in 2001-2003 featuring "Spaces for encounters with Arab culture"; and the proceedings of the 2nd International Seminar on "Identity and Differences in Architecture" held in Naples (Napoli) in December 2002. 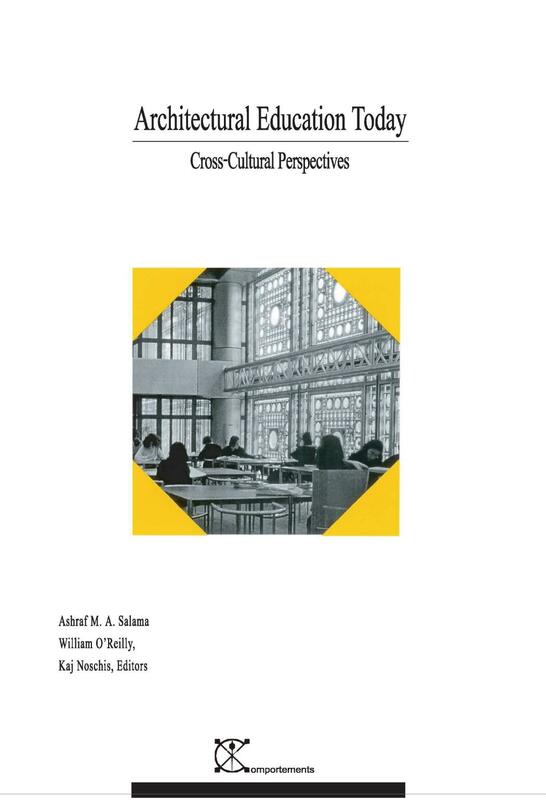 The book features scholarly articles of academics from Europe, Australia, North Africa, and Middle East. Full papers are published in their original language with abstracts in Arabic and English. Recent literature on architectural education notes that there are continuous attempts to massage architectural curricula, to reconfigure the structure of the educational process, to test accepted ideas, and to probe future visions. However, research findings reveal some fundamental disagreements over the goals and objectives, structure and contents, and tools and techniques required for architectural education today. Since education is the cornerstone of the profession and since the approach to and the content of that education is the backbone of architectural practice, it is essential to encounter the subject in its broadest sense and to deal with it as a rich field of research whose knowledge base, content, and methods can be examined, questioned, and debated. 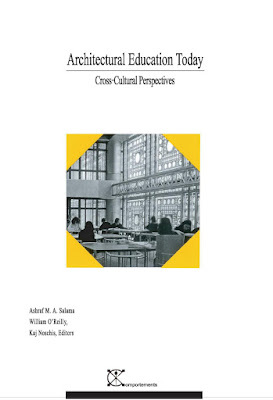 Very few attempts have been developed over the last decade or so by individual scholars to explore the rituals of education in a systematic, visionary, and research-based manner. This indicates the need for more published research and experiments on architectural education and practice. Architectural Education Today is a response to this lack, and is divided into four parts, each of which seeks to provide an exploration of answers to critical questions that pertain to knowledge, professional practice, educational experiments and experiences, and their supporting tools. The intent is not to provide a blue print on how improvement might occur or to offer ready-made or definitive answers, but to further open architectural education to discussion; a subject that continued for years to get sparse attention. In this book, Environmental Design is defined in socio-spatial and socio-behavioral terms. The book presents a whole that aims at the student with little or no experience in environmental design. It emphasizes the strong relationship between human factors and environmental design. The book is based on several ideas and approaches developed by several theorists in the field, with an attempt to simplify those ideas for beginning design students. It includes four chapters: 1) Design, Culture, Architecture, and the Human Science; 2) Design Components of the Built Environment; 3) Designing Built Environments; and 4) Concepts and Principles in Architecture and Urban Design. This book presents a wide range of innovative concepts and practical ideas for teaching architectural design. It explores different aspects of studio teaching and what impact they have on the attitudes, skills, methods, and tools of architects. It offers a comparative analysis of contemporary trends that are committed to shaping and identifying studio objectives and processes. 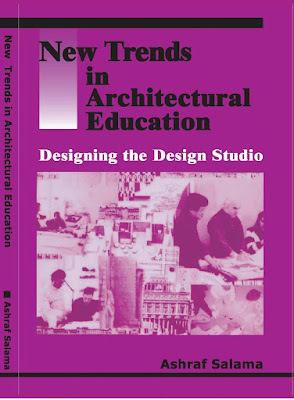 The book includes five chapters: 1) Introduction: Problems in the Practice of Architecture; 2) The Architect and Society; 3) Design Education and Studio Work in the Conventional Approach; 4) Revolutionary Concepts for Teaching Architectural Design - Design Studio Teaching Models; and 5) Expanding the Knowledge Base in the Architectural Design Studio.